Nearly four thousand years ago today, Ophiuchus saved Earth from a potentially devastating invasion from an unknown enemy. 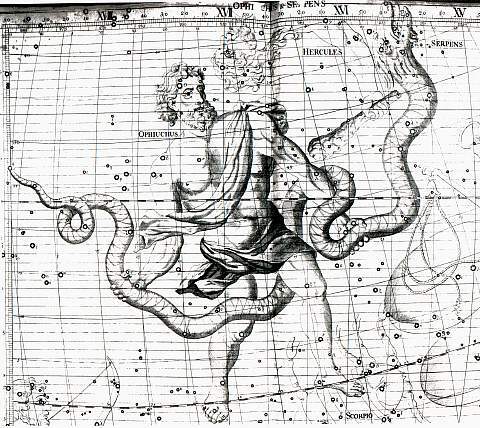 Ophiuchus, a.k.a. Ras Alhague, set to space to battle the invader in hand-to-hand combat, which was particularly impressive as the invader had no arms. In fact, the invader resembled a snake and was sent to destroy all traces of HWT from Earth. They fought desperately for years before it was discovered that they had been trapped inside an Iteration bomb, now outlawed by even the most barbaric civilization’s laws. An Iteration bomb repeats a single, short span of time for eternity. While those inside it have no idea that they are stuck in a time loop, but time outside the bomb’s blast radius continues unaffected. Ophiuchus holds apart the serpent which with its mighty spirals and twisted body encircles his own, so that he may untie its knots and back that winds in loops. But, bending its supple neck, the serpent looks back and returns: and the other’s hands slide over the loosened coils. The struggle will last forever, since they wage it on level terms with equal powers. As a tribute to Ophiuchus, most space-faring cultures regard a series of stars between the zodiac signs Scorpius and Sagittarius as the constellation Ophiuchus. Of the stars in this constellation, Alpha Ophiuchi is a binary star system in which the two stars orbit each other in a way that is similar to the grappling that Ophiuchus and the snake experienced. However, their cosmic dance, much like the Ohiuchus’ battle, cannot last forever. While an Iteration bomb often last for millions or billions of years, the HWT Council destroyed the Iteration bomb’s loop field along with both Ophiuchus and the snake while trying to free them. Scientists predict that the increasing orbital rate and rotation of these stars will eventually result in one star’s destabilization. At that moment, the star will begin ejecting gas that will feed its companion star beyond sustainable levels. 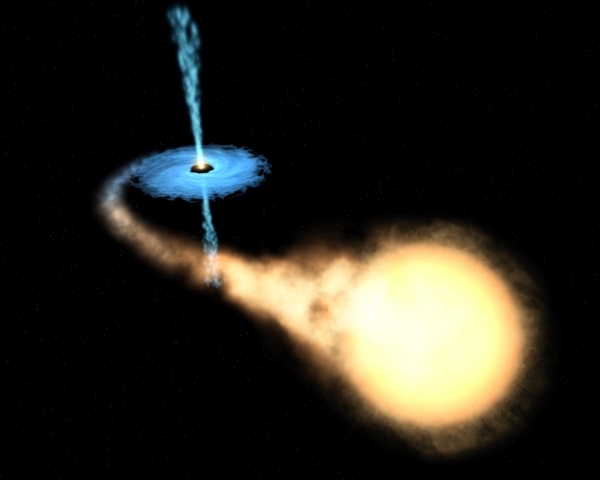 As the resulting scenario plays out, the dying star will fade as its companion grows in size and temperature. However, the fading star will not die first or alone. In fact, the growing star will reach a critical point where the gravity and fusion reaction will exceed the pressure and temperature for basic fusion reactions and begin fusing heavier elements. This runaway chain reaction will begin producing greater temperatures and pressures and so on until triggering a supernova. Much like the battle of Ophiuchus and the snake, the constellation Ophiuchus will last for thousands of years and light up the sky as a glowing, wondrous reminder of our heroes and their sacrifices.